Some interesting numbers from the opening week of the college football season. It's been a long time since anyone has argued against the SEC's being the best conference in college football, and it again showed why by flexing its muscles. On opening weekend, the 14-team SEC combined for a 13-1 record. Tennessee, falling to No. 17 West Virginia, was the only team to lose. To be sure, those wins featured many at home against cupcake opponents, but No. 9 Auburn beat No. 6 Washington and No. 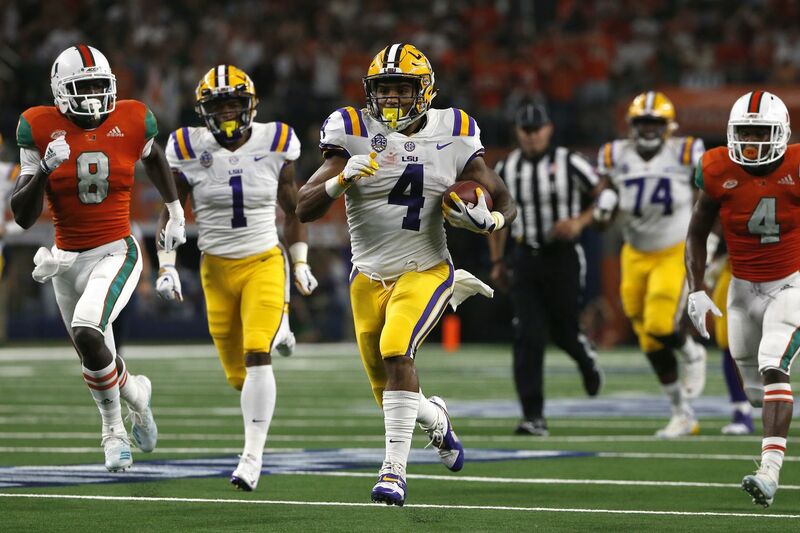 25 LSU thrashed No.8 Miami as underdogs on neutral fields. Auburn, LSU, No. 1 Alabama and Mississippi all beat "Power 5" conference foes at neutral sites. Mississippi State quarterback Keytaon Thompson (10) throws a 27-yard touchdown pass against Stephen F. Austin. That's how many yards of total offense Mississippi State sophomore quarterback Keytaon Thompson generated and how many touchdowns he accounted for in the Bulldogs' 63-6 beating of Stephen F. Austin. Starting in place of suspended senior quarterback Nick Johnson, Thompson passed for 364 yards and rushed for 109 more. His seven touchdowns (five passing, two rushing) tied him with 12 others for the most in SEC history. Considering Johnson is also one of those 13, who will start at Kansas State on Saturday? West Virginia’s Will Grier (7) looks to pass against Tennessee in the first half. That is the percent of passes (25 of 34) West Virginia senior quarterback Will Grier completed in a 40-14 victory over Tennessee to start his Heisman Trophy campaign. Grier passed for 429 yards, with touchdown passes of 59, 33, 28, 14 and 10 yards. Maryland offensive lineman Ellis McKennie (68) walking with teammate Taivon Jacobs as he waves a flag in remembrance of offensive lineman Jordan McNair, who died after collapsing on a practice field during a spring practice, after Saturday’s win over Texas. The number of players Maryland lined up for its first offensive play in its 34-29 upset of No. 25 Texas. The Terps left a position on the offensive line open in memory of lineman Jordan McNair, who had collapsed on the practice field and died two weeks later. They wore a sticker of McNair's No. 79 on their helmets. Interim coach Matt Canada, who is guiding the team because head coach D.J. Durkin is suspended while Maryland investigates the circumstances concerning McNair's death, took a penalty for delay of game. Texas declined it.